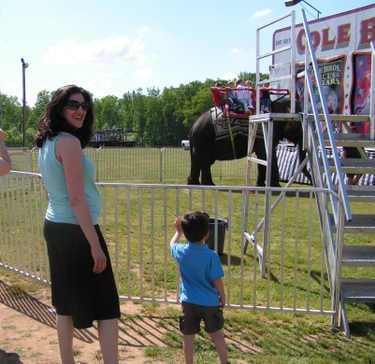 Everyday Beauty: Everybody Loves a Circus! 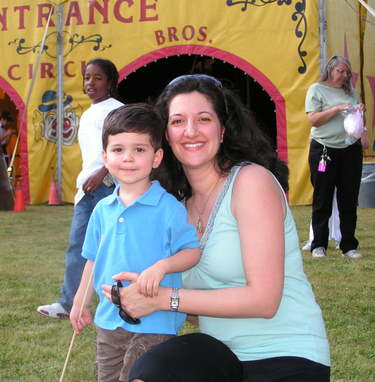 Aw...he will remember that always, I still remember my first time at the circus....funny, now I have a taste for funnel cakes! How cute is your handsome little man?! What a fun time. oh what fun, i wish id taken my boys, mmm pink fairy floss yum yum, have a great day- are you feeling ok, you look fantastic. love jo. hen my daughter was five she went to the circus. When she came home she annouced she wanted to be inthe circus when she grew up. She learned to walk on her hands. 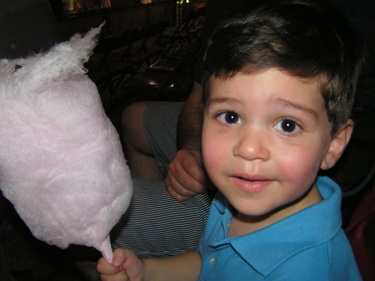 Love the photo of Mario holding the cotton candy, his little hand holding on tight to his yummy sweet treat. So cute. 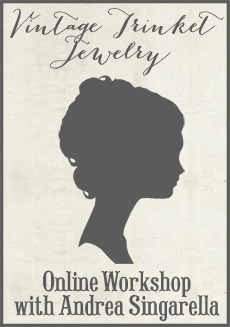 I'm so glad I found your blog; it's such a pleasure! Mario is precious and you have that sweet, pregnant glow that's so refreshing to see and even more refreshing to remind myself of how glad I am that I'M NOT PREGNANT!! Andrea, what fun you all had! I love the sweet elephant! What a cutie that Mario is! 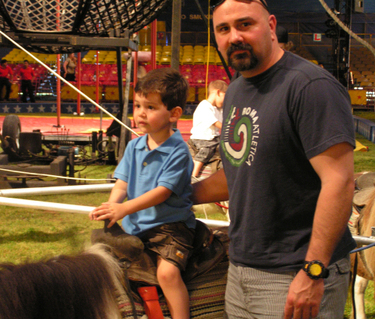 I am thinking of taking K to her first circus this year; she's been asking for almost a year to go so maybe the timing is right?! It looks like everyone had a grand time! Happy belated Mother's Day! I like what you guys are usually up too. This type of clever work and exposure! Keep up the terrific works guys I've incorporated you guys to blogroll.